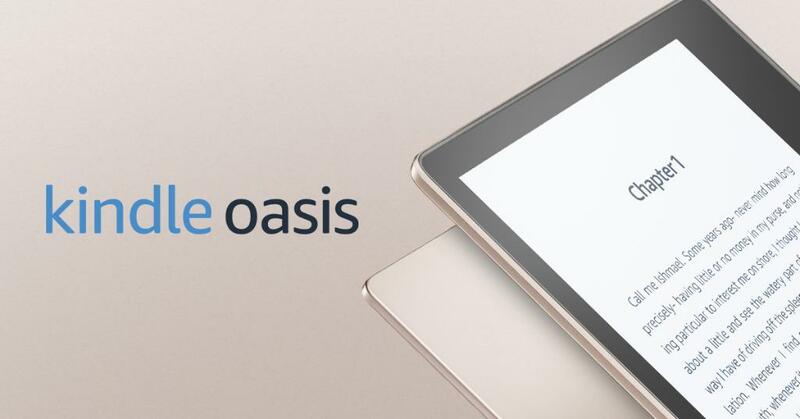 The latest generation Amazon Kindle Oasis is completely sold out in the United States. The entry level 8GB/32GB with WIFI will take between 7 and 9 weeks to ship out when new orders are placed. This also includes the Special Offers version that will display adverts on your homescreen or the variant that has them removed. The new Kindle Oasis with the champagne gold backing is currently only available via pre-order. I feel that the Kindle Oasis 2 is the best e-reader Amazon has ever made. It is the first model to have Audible integration and is waterproof. It is the first e-reader powered by the Freescale IMX7 dual core processor and it is really easy to read on the 6.8 inch screen. The demand for the Oasis is obvious and it looks Amazon has to ramp up production via via Foxconn. I suppose if you desperately need an Oasis right now, the 3G version is the only one available. What I really like about your content is that even though you sell competing products, you present unbiased reviews. Bravo! Devils advocate. The lack of inventory seems to be only for the graphite model. As you say, the new champagne version is only available via pre-order. HOWEVER, those pre-orders will deliver to your home in only 6 days from today (March 22nd). I agree with you that this reader is great (I own one), but I suspect this graphite color version inventory shortage is mostly because they shifted production capacity to make the new champagne skin version. So if you want one immediately, just get the champagne gold version. If you want graphite, just wait and this will all even out in a few weeks. I have a feeling Amazon ordered a crapton for the launch and to carry them over the Christmas season, but they sold more than they thought. Likely demand persisted for January and FEB and now they are sold out. Likely with the new gold model they are also producing more graphites at the same time, but mass production takes time. agreed. this is a great site that covers all eink readers under the sun which is great. i hope the carry on as long as possible. We have been going strong for almost ten years! No plans to quit now! I agree. If I hadn’t received one for Christmas I was buying it in January. I suspect I was not the only person with that plan. I just got one to replace an Onyx Boox Kepler Pro that was getting flakey on me. Just showed up today. I like it pretty well, though I’ve yet to test the battery life from a full charge.